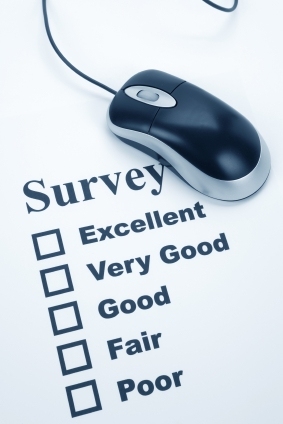 In the world of online surveys, paid survey scams dominate. There are genuine market research companies that will pay you for your opinion, however the challenge is determining 'is this paid online survey a scam'? Work at home schemes appeal to our desires to earn more money, avoid having a boss, work fewer hours, and stop commuting. Often scammers also tap into our desires of a better life by stating "spend a few minutes a day and earn all the money you need to make all your dreams come true." Survey scams can be used to extract your personal details such as banking details or date of birth so they can commit identity theft or credit card fraud. They can also steal your money by setting up a subscription scheme to connect you with online survey companies, and just keep your money and not provide you with any information. How do the Paid Survey Scams Work? The first opportunity the scammers have is when you fill out the registration forms and a lengthy profile. They claim that in order for them to pay you they need information such as your name, date of birth, social security number and banking details. Once scammers have this they can commit fraud with your details. If you do provide all the details, it also provides scammers the opportunity to flood you with email spam and phone calls from telemarketers. Some sites ask for a subscription payment [such as $29-95 or $34-95] to connect you with the best online research marketing firms. Most people who pay either receive nothing, or receive useless information. If you do finally get to complete online surveys, you may find you don't get paid for them despite promises of payment 'next month'. If you have been scammed you can file a complaint with the Internet Fraud Complaint Center about paid survey scams. You can also file complaints with the BBB.